In January 2002, the Victorian Labor Government passed its Racial and Religious Tolerance Act prohibiting the vilification of persons on the grounds of race and religious beliefs. Mainstream religious groups and human rights activists applauded the move, viewing the legislation as providing an extra layer of legal protection from an increasingly intolerant society. Free speech warriors and evangelical groups organised rallies and dedicated many inches of column space to opposing the laws, citing them as an attack on freedom of speech and censorship of deeply held religious beliefs. It took a year for the first case to arrive at the Victorian Civil and Administrative Tribunal. The Islamic Council of Victoria (ICV) — the state's peak Muslim body — accused the Christian evangelical group Catch the Fire Ministries of religious vilification after a series of lectures about Islam by Pastors Daniel Scott and Daniel Nalliah offended Muslim converts in the audience. Sensing a good yarn, self-proclaimed 'literary sleuth' Hanifa Deen attended the tribunal sessions to observe what she expected would be a cut and dried three-day hearing. Like most legal and media observers, Deen didn't expect the case to drag on for five years and reach as high as the Supreme Court. Full points then must be given for Deen's patience and tenacity. The result is a book far removed from the lazy Islam versus Christianity narrative pushed by the mainstream press. Instead, The Jihad Seminar frames the story as being 'convert driven' with new Muslims on one side and born again Christians on the other. Deen was granted full access to the Muslim complainants while she managed to land a few key interviews with Scott and supporters of Catch the Fire. She states both sides believed they had no choice but to see this matter through to the courts. For Muslims the seminar was viewed as blatantly offensive and they finally had legal armoury to defend themselves. Catch the Fire, who view interfaith activities with disdain, viewed the case as an attempt to muzzle their preaching. Deen made the right decision to eschew the case's turgid legalities in favour of its broader implications. This gave her the licence to step out of the court room and discuss wider issues of racial and religious tolerance, from the global rise of Islamaphobia and John Howard's identity politics to the disturbing scenes of the Cronulla Riots. Deen is a feisty presence throughout the book. Her persistent research uncovered some of the hidden motives behind the case. She reveals it was more than just a simple dispute. Instead it was used by both sides to pursue their political means. The ICV was supported by a large cohort of religious groups who viewed this case as an important test of how this legislation could be practically applied. At the same time the little known Catch the Fire Ministries captured the imagination of cashed up American evangelical groups, whose donations helped finance the expensive case. Deen is a gifted writer whose lucid prose helps makes sense of some of the convoluted legal manoeuvres of the case. A secular Muslim with a love for Monty Python, she never hides her irreverent side. When it works it reveals some cutting descriptions. She describes Pastor Nalliah's religious history as a 'job application for the after life', and the Muslim imams she met as 'usually nice men, but they are now what I would call witness box material'. When it doesn't work she comes across as condescending to the deeply religious converts she interviews. This is unfortunate as their true stories are seldom told. 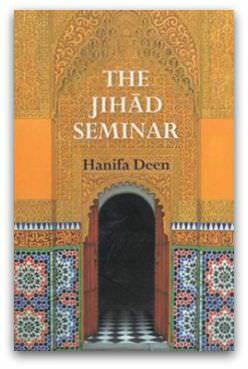 Nonetheless, The Jihad Seminar is a timely book on a misunderstood legislation, devout religions and the corrosive impact that racism and religious vilification continue to play in Australian society. Intelligent Design inhabits the shell-pocked no-man's land between science and religion. Steve Fuller argues that it should be taught as an option because science depends on religion. But his version of religion will set pious teeth on edge.